You are particular about the types of vehicles that you are willing to drive. 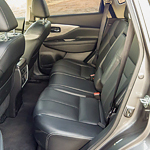 You look for vehicles with interiors with special features. 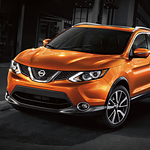 The Murano is a popular AWD crossover from Nissan and it offers the features that you are looking for in its interior. You can change the temperature of your front seats when you are in the Nissan Murano to help you warm up or cool down. 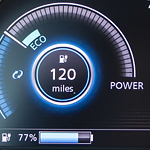 This vehicle gives you climate control help that allows you to quickly get comfortable in both hot and cold weather. Here at Gillman Nissan of Fort Bend, we're usually concentrated on finding local drivers the perfect Nissan vehicle. From time to time, however, we like to get out and experience some local events. 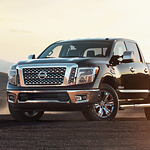 One of our favorite events is the Houston Rodeo, and we're attending and bringing one of our favorite Nissan trucks with us this year! If you want to identify a popular compact crossover vehicle you can get excited about driving, then you need to check out the Nissan Rogue Sport models we offer for your consideration on the floor of our Gillman Nissan Fort Bend showroom. The Nissan Rogue Sport offers a number of performance features that are making it one of the most responsive crossovers you can drive. Here at Gillman Nissan of Fort Bend, we don't just sell new cars and crossovers like the 2019 Nissan Rogue. We're also a big supporter of our local community. One way we show that is by sponsoring nearby events, like this year's Run to Attack Poverty. If you're a runner or you just want to show some support for a good cause, this event should be on your radar.